Friday, Feb 1, 2019, 12 – 1 p.m. Being accepted to a startup accelerator can mean access to expert support and resources, increased exposure, and ample opportunities for growth. In fact, the top three accelerators (Techstars, Y Combinator, and 500 Startups) account for nearly 10% of Series A recipients. However, getting into one of the top accelerators is no small task. It can take years to build up the experience and traction needed to validate your startup and get noticed by elite accelerators. 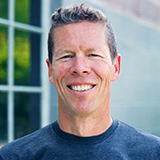 Chris DeVore is Managing Director of Techstars Seattle, the region’s most selective startup accelerator, and also Managing Partner of Founders’ Co-op, the Pacific Northwest's leading seed-stage venture capital fund. Over the past decade Chris has helped over 200 Pacific Northwest startups raise over $1 billion in investor capital. Chris holds a BA from Yale and attended the MBA program at Stanford’s Graduate School of Business. Read more about Chris DeVore on LinkedIn.